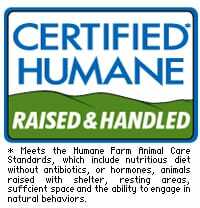 Why Use Goat Milk Soap? Where Can I Buy Goat Milk Soap? After several years of study, a substantial financial investment in education, time spent researching, reading and passing different levels of examinations, I fully realize that aromatherapy is a field of constant change and growth, which will always require additional study. It is a journey, not a destination. New detailed essential oil research is coming out every year. As part of this journey, I’ve enjoyed sharing and teaching about essential oils and helping the average person learn how to use them as an alternative modality for variety of issues. In a recent class on the farm, students shared with me how many people they knew who were using essential oils on their children. I know full well it is a well-meaning parent’s attempt to protect their children, but it leaves me very ill at ease. Marketers and sales people encourage the use of oils in the everyday life of young families, which prompts me to write this blog. Essential oils are wonderful, but they are mother nature’s chemicals. The power of essential oils are totally underestimated and the potential to cause harm is there, particularly in children. Children’s bodies are ever changing, cells are growing and mutating at a faster rate than an adult. Some essential oils are used in the pharmacological world and the dosage to a child must be critically calculated based on their weight and other factors. Yet sales people encourage parents to have their children inhale, ingest and apply essential oils every day. Let’s take lemon oil for example. Lemon essential oil is a terpene and can etch glass and dissolve plastic. Yet, I know of parents who have put drops of lemon essential oil in their children’s lemonade. Essential oils do NOT mix with water. It has been scientifically proven that oils erode and damage mucus membranes. The stomach and esophagus is lined with these membranes. One drop of lemon essential oils is 100X stronger than lemon juice. Ingestion of oils will trigger an increase in liver enzymes. Ingestion should be under the guidance of a naturalistic physician who can monitor liver function. For a specific treatment, oils should be encapsulated in gel/oil capsules or as in the case of Irritable bowel syndrome, in enteric-ally coated capsules that won’t dissolve till they reach the colon. While there are medical uses for specific oils, ingesting any and all for anti-viral benefits is simply reckless. Peppermint essential oil should not be used with children under 3 years of age. It is a very dangerous oil around children and several studies have shown mutagenic potential, meaning the ability to mutate cells. Peppermint contains menthol, menthone, cineole, menthol acetate, and limonene. The menthol causes the “cool” sensation but also can irritate mucus membranes causing runny noses, eye watering and an inflammatory response. Research has proven many essential oils will react with diabetes, anti-seizure medication and blood-thinning medications.The oils can amplify the effect or even inhibit the protection offered by the medication. Lastly, when speaking of children, caution must be observed for the unborn. Pregnant women should generally avoid essential oil use. Fetal development is negatively effected by essential oils. One of the most dangerous is Lemongrass which contains Citral. Citral is well-known to interfere with fetal development. Please share this blog with well-meaning parents who choose to use essential oils on their children. In America, we’ve been raised to believe that “more is better”. But in the essential oil world, “less is more”. Respect and appreciate their power by using them with caution. 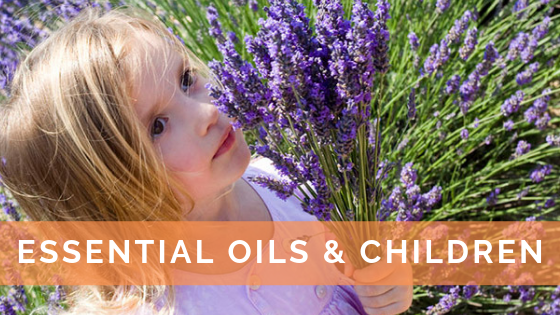 We are happy to provide practical, safe guidance for parents using essential oils in their homes. Contact Regina to learn more. Why Use Sulfate Free Shampoo? What is Exfoliation and Should You Exfoliate ?